Discount codes are never permanent. One of the biggest appeals of IPVanish aside from its speed is the low price. 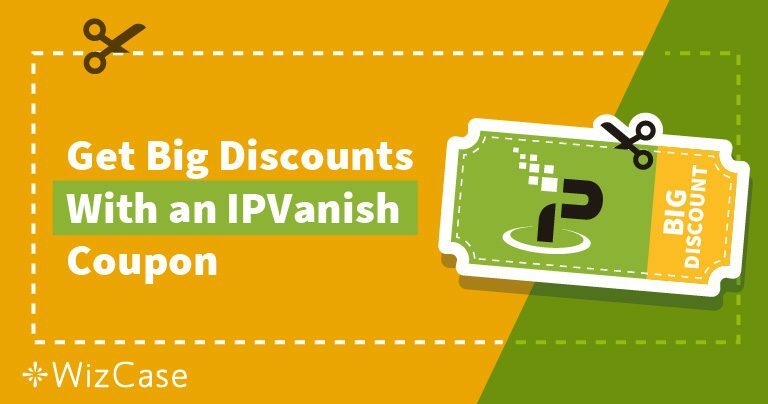 While this price is already low in comparison to several other VPNs, there are several ways to save even more money when you use this IPVanish coupon. As with many other VPNs, opting for the longer subscription plan will ensure a significant amount of savings. For instance, if you were to choose a 1-month plan and keep renewing it every month for a year, you’d pay $120.00. A full year subscription plan costs $77.88 annually, a savings of $42.12. There’s a way to actually save more money, however. If you use the code “WAIT” you get an extra 20% off, regardless of which plan you go with. 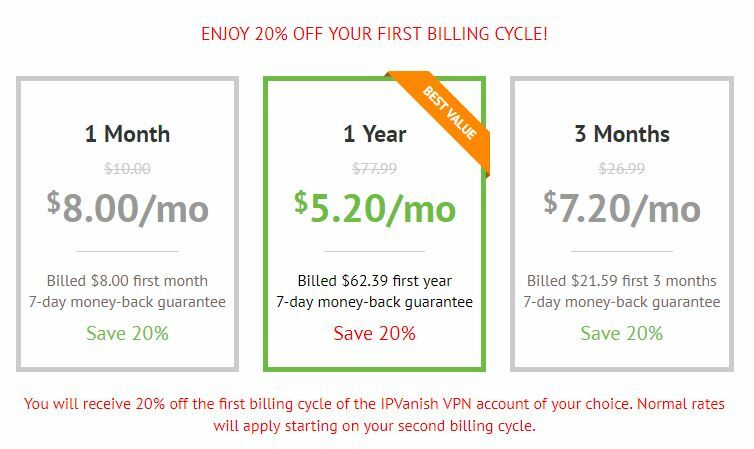 After applying 20% off to a full year plan, a total of $62.39 for one year of IPVanish VPN comes out to $5.20 per month — an excellent deal for one of the best VPNs available. IPVanish has been around since 2012 and continues to make improvements and add servers to what was already an effective, slim, and fast VPN that’s easy to use. Our Netflix experience with IPVanish has been very inconsistent. There are times when it works well, and others where we get the Netflix proxy error. Usually, after a little trial and error with the servers, you’ll be able to find one that works. If you’re just looking for a VPN that works for Netflix, we’d recommend ExpressVPN because it is a more consistent option. However, if you need a solid VPN and US Netflix is just a bonus then this is a solid VPN to go with. IPVanish allows for torrenting on all of their servers. Once connected to the VPN, you will be anonymous online, so neither your ISP or government agencies will be able to track your online activities. Additionally, IPVanish has a no-logs policy, so even if their servers are confiscated or subpoenaed there will be no incriminating information that can be led back to you. If you’ve ever used a discount code online for anything, you know they are constantly changing, and often seasonal. Because of this, if you’d like to get the extra 20% on top of a 46% discount, now is the time to do it. Click the button below to continue with your purchase, we advise completing your purchase as soon as possible to ensure you’re getting the best price.